We lcome to the McWane Science Center, the premier spot in Birmingham to learn something new and have fun while doing it! McWane is a science museum and research archive located in downtown Birmingham, right along 19th Street. 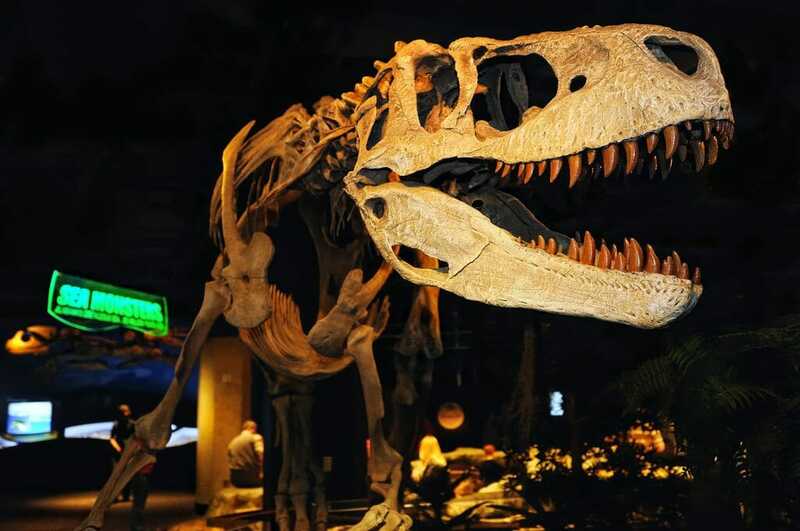 This center was founded in 1998, making a quick lasting impression on the community with its IMAX, interactive exhibits,onsite space center, and various dinosaur fossils within the spectacular 4-story venue. This museum believes that the information it gives out is an ‘important part of any child’s education’, the entire collection it holds within designed to help guests explore science with visuals and other hands-on methods. This entire experience is perfect for families, scout and church groups, and class/field trip groups, anyone who values both educational and entertainment. Inside this museum, you will find 4 different floors of science glory, from the Shark and Ray Touch Tank on the lower level to the art and technology on the 4th. See the various aquariums, Sea Monster exhibit, Nature Scope, or even the Bubble Room, or perhaps opt in to be an Aquarist for the Day. The 280 seat John W Woods IMAX Dome will provide your group with 79 feet of big screen bliss, with changing special features such as the current National Parks Adventure or Wild Africa. Smaller children will love the new itty bitty Magic City section, designed to explore physical, exploratory, constructive, and imaginative play in children. Other Groups may like the Teens Tech, overnight stays, camps, or special events more. Before you go be sure to fill up on some brain food, the Smart Cafe food court holding a Pizza Hut, Subway, Red Mango,and Hot Off the Grill. You can also pick up some educational memorabilia at the Museum Store before you go, this gift shop a really fun way to find educational materials!